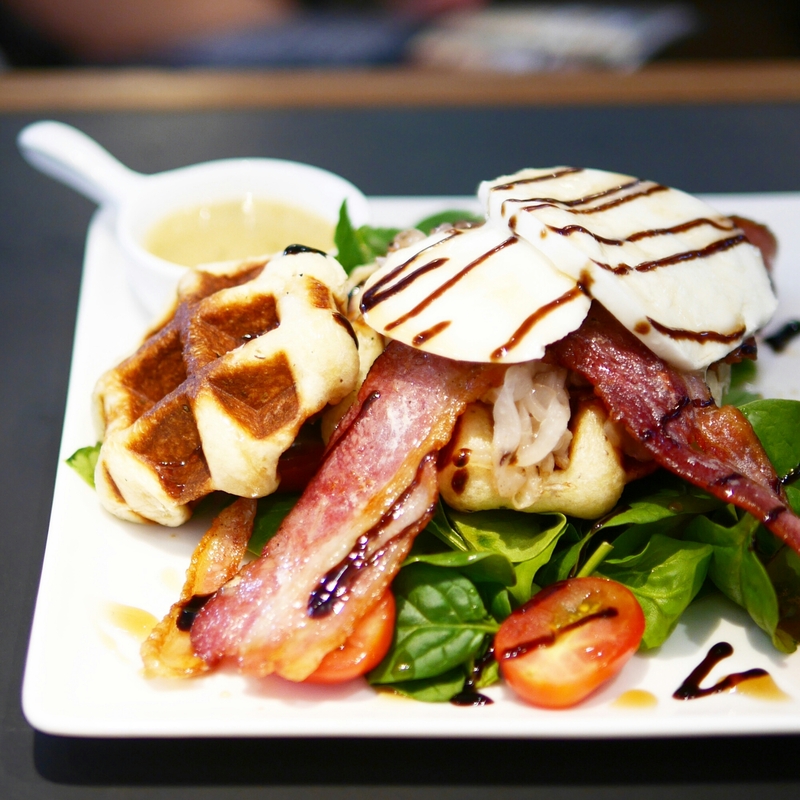 I do love my all-American greasy big brunches at The Diner, but one weekend I felt like something different and headed over to Hong Kong island for a waffle-ful brunch at Waffling Beans. The photos of their seemingly perfect coffees (later verified to be accurate portrayals) on Openrice was an additional, potentially stronger, motivation that successfully dragged me on a one hour commute all the way to Kennedy Town on a weekend. Almost all items on their menu feature waffles (hence the name) – we ordered the Waffles Benedict and All The Best (*must order*) off their weekend brunch offering. Everything on each dish seamlessly matched the waffles, evidence that much effort must have been put into creating a savoury version. I probably preferred the All The Best combo more, just because it was a relatively less common dish found at brunch spots and all the ingredients tasted good. There has definitely been growing Western waffle spots in Hong Kong, but Waffling Beans is one of the few (if not only) that serve Liege waffles which are significantly different in taste and texture to the typical (probably American) style of crunchier and slightly thinner ones. There’s more batter “filling” inside the waffle which is dense and bread-like, which could explain why they pair well with literally everything. 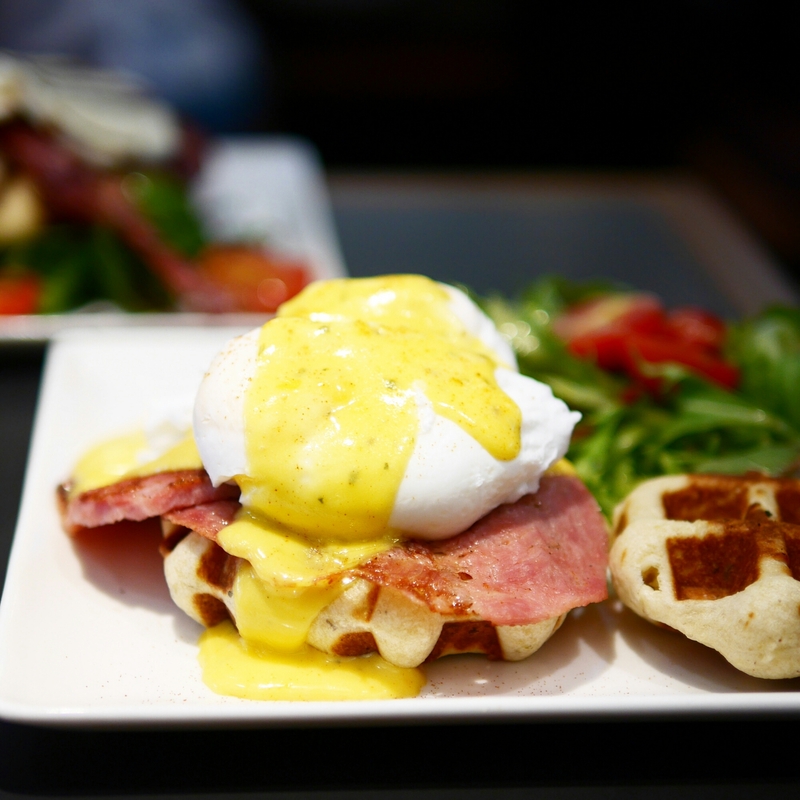 As if eggs benedict on a waffle was not “different” enough, they also serve a host of other main course dishes with waffles too such as fried chicken waffles (*must order*) and coffee marinated baby back ribs (with waffles too, duh). If you’re wondering how two people could stomach all this (and more dishes I have yet to mention), it’s because we actually came here again for dinner just to try out these epic sounding main courses! Both the fried chicken and ribs tasted good although I’d say the waffle was more of a standalone thing here and a relative non-necessity. The chicken was super flavourful and still highly recommended; on the other hand, the ribs were cooked well but more normal tasting than the “coffee marination” would suggest. 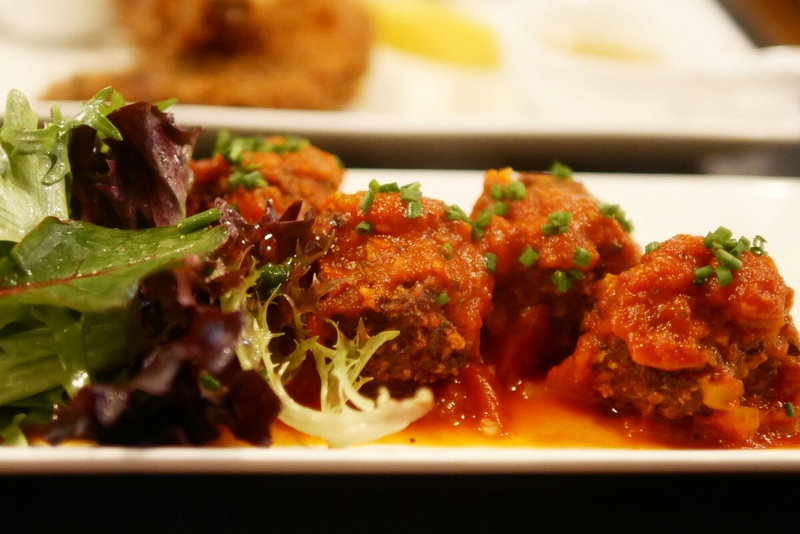 Instead, the underdog that ultimately won our attention was the meatballs (*must order*). They clearly use proper beef and fresh tomato sauce when making these, and there was probably no trace of the floury doughy stuff that makes commercial meatballs taste so fake. Real meat was something we both came to appreciate – and even more so because it mishmash-ed super well with the delicious waffles! The waffles impressed me much but almost not as much as the coffee did. The coffee here was a pleasant shocker and tasted significantly better than most specialist artisan coffee shops I’ve sampled lately. 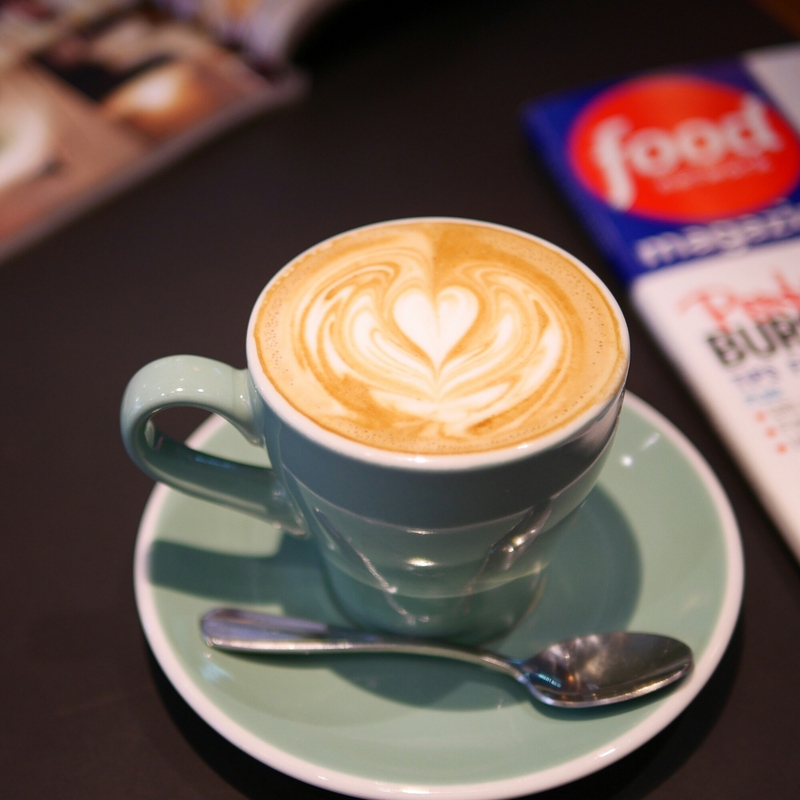 We tried their flat white and piccolo latte and given that there’s usually a 99% rate of disappointment when ordering piccolos in Hong Kong, their near-perfect piccolo latte was ever more impressive. I almost ordered another – the only restraint coming from the fact that I already had a large cappuccino before arriving. I do complain that most eateries either do good food or good coffee, rarely both. Waffling Beans is probably one of the very few exceptions to this phenomenon in Hong Kong; Espresso Alchemy in Tsim Sha Tsui is another. They use a different recipe for their sweet waffles, although they are still “Liege” style which are thick and dense. They have a load of options but given how much I had ingested, I decided to go for something relatively refreshing and simple. The 7th Heaven features strawberries, fresh cream and homemade berry jam. It was a safe and delicious combo that I’d easily recommend! The age old saying is that actions speak louder than words. The fact that I returned here within a month to sample their main course dishes for dinner is particularly a statement for any curious Hong Kong foodie. Ultimately, it was their coffee that got to my heart the most, but I’d say it’s a good spot for any casual occasion and some comfort food.